Stay stylish and comfortable during your next run or game in the Waimak Polo Shirt. 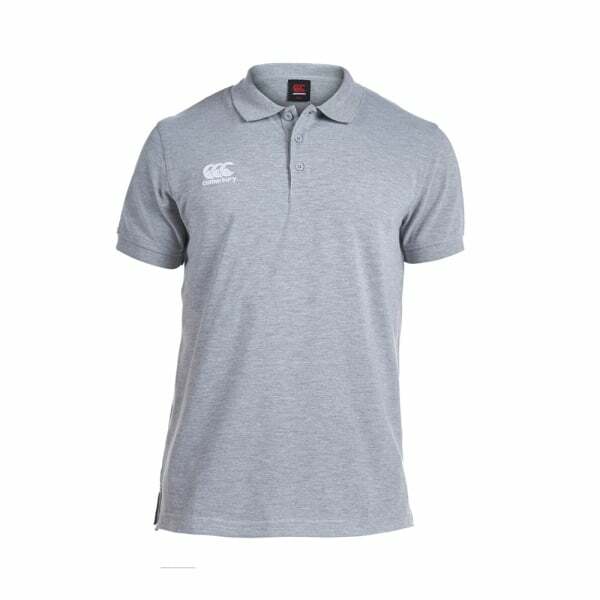 Using cutting-edge fabric technologies, this polo features highly breathable polyester-cotton mix in a classic design that provides freedom of movement and style, leaving you free to perform at your best whatever you’re doing. The three-button placket and ribbed collar and cuff offer comfort with a relaxed and everyday appeal, so you can effortlessly transition from training to a catch up at a café with mates. The high quality embroidered branding reflects the superb design of the product, following the longstanding Canterbury tradition.